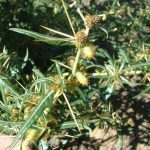 Distribution notes: Spread as a food plant in colonial times is mainly restricted to waterways in the upper Wimmera catchment in the Glenpatrick, Nowhere Creek, Elmhurst, Warrak areas and also around Halls Gap, Pomonal and Moyston. 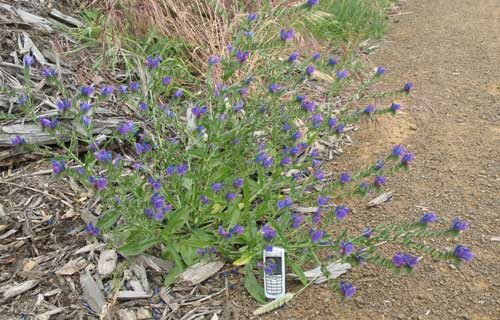 Sometimes found in paddocks away from watercourses but favours damper areas. 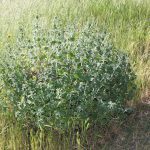 Control options: Slashing and burning are not complete control options and are only really effective in reducing infestations to gain access for stock and herbicide application. 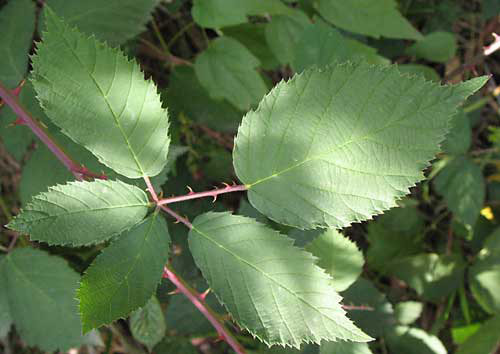 Hand removal of plants and cutting stems and applying neat Glyphosate herbicide are very effective for isolated plants and small infestations. Project platypus generally use Metsulfuron Methyl 600g/kg at a rate of 15g + penetrant (Consume, Pulse etc) + dye per 100 litres of spray mix. 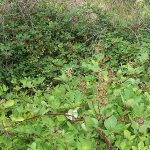 Timing is critical with Blackberry so only spray when actively growing from November through to the end of March for best results. 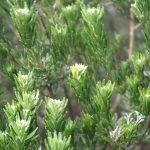 Distribution notes: A garden escape with a limited distribution in the Glenpatrick area, in the Iron Barks Forest to the north and east of Stawell and in remnant areas of forest between the Stawell aerodrome and Black Range. 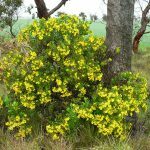 Also occurs just outside of the catchment in the Ararat hills area. 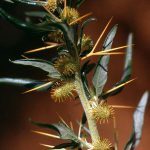 Control options: Hand removal is best for isolated small plants that can be simply pulled out by hand, larger plants may require machinery to remove or can be cut off and the stump painted with neat Glyphosate herbicide. 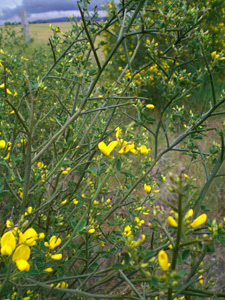 Like native Acacias, seed germination is stimulated by fire. For thicker infestations, Project platypus generally use Metsulfuron Methyl 600g/kg at a rate of 15g + penetrant (Consume, Pulse etc) + dye per 100 litres of spray mix. 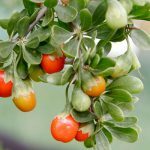 Spay when actively growing between June and fruit set in October for best results. 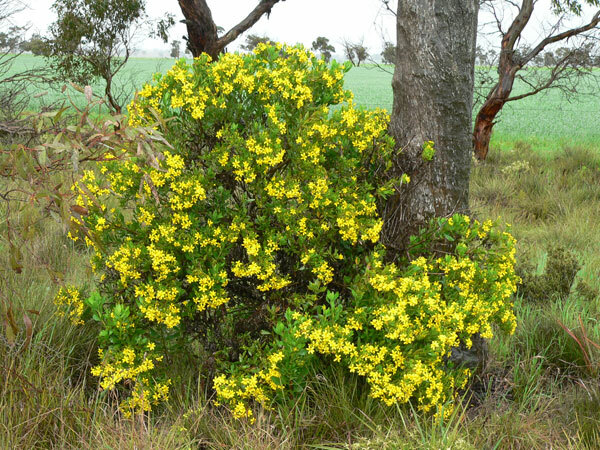 Plants are easily located in bushland during flowering in September / October when the bright yellow flowers are conspicuous. 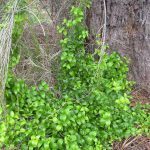 Control options: Hand removal is best for isolated small plants that can be simply pulled out by hand, larger plants may require machinery to remove or can be cut off and the stump painted with neat Glyphosate herbicide. 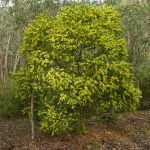 Like native Acacias, seed germination is stimulated by fire. For thicker infestations, Project platypus generally use Metsulfuron Methyl 600g/kg at a rate of 15g + penetrant (Consume, Pulse etc) + dye per 100 litres of spray mix. Spray when actively growing between August and pod set in November for best results. Alternatively try Triclopyr & Picloram (Woody, Grazon etc) at a rate of 400mls + penetrant (Consume, Pulse etc) + dye per 100 litres of spray mix if plants are looking stressed and dormant. 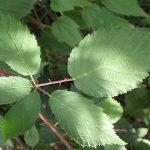 Control options: Hand removal is best for isolated small plants that can be simply pulled out by hand, larger plants may require machinery to remove or can be cut off and the stump painted with neat Glyphosate herbicide. 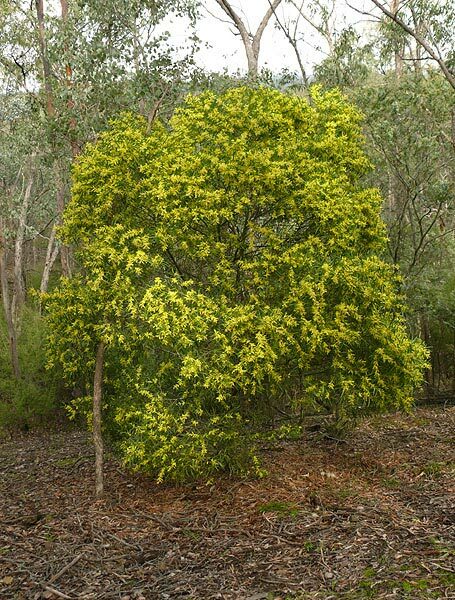 Like native Acacias, seed germination is stimulated by fire. For thicker infestations, Project platypus generally use Metsulfuron Methyl 600g/kg at a rate of 15g + penetrant (Consume, Pulse etc) + dye per 100 litres of spray mix. Spray when actively growing between August and pod set in November for best results. 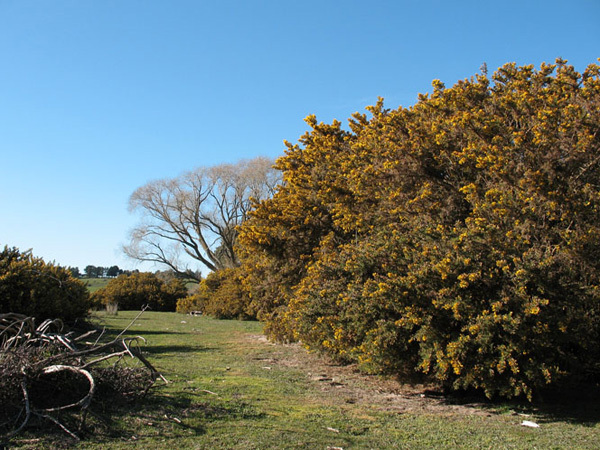 Alternatively, Triclopyr & Picloram (Woody, Grazon etc) at a rate of 400mls + penetrant (Consume, Pulse etc) + dye per 100 litres of spray mix is used if plants are looking stressed and dormant. 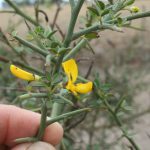 Distribution notes: Found right across the upper Wimmera catchment with mainly isolated plants along roadsides and neglected land. 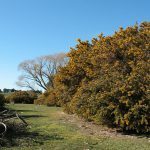 Larger infestations exist in the Elmhurst, Glenpatrick , Navarre and Warrak areas that have received a lot of control work in recent years. 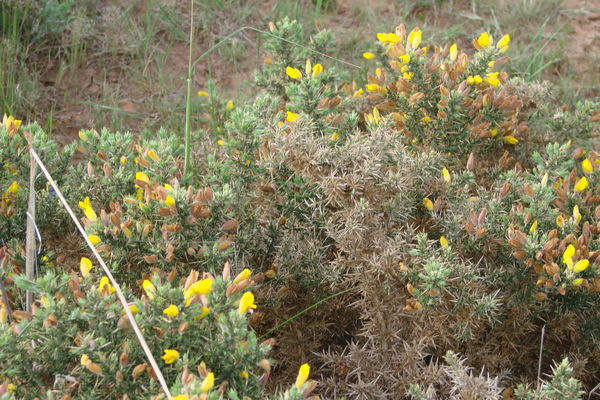 Also scattered infestations in the area of Panrock reservoir in the Black Range and around Moyston. Control options: Burning and slashing can be very useful to gain access to thick mature infestations. 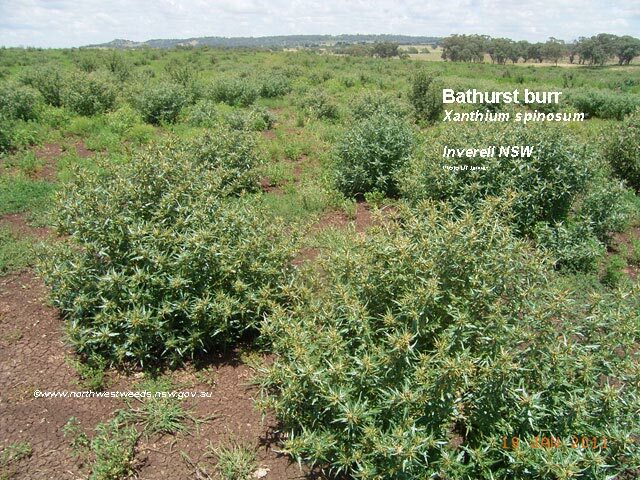 Fire stimulates seed germination so follow-up herbicide application is necessary to kill mass germination after burning. 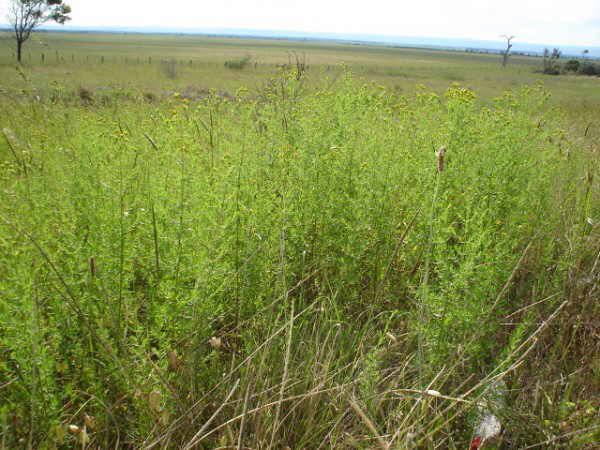 Juvenile plants can be pulled by hand or the stems cut off at ground level and painted with neat Glyphosate herbicide. Project platypus generally use Metsulfuron Methyl 600g/kg at a rate of 15g + penetrant (Consume, Pulse etc) + dye per 100 litres of spray mix. Spray when actively growing through the warmer months for best results. Alternatively, Triclopyr & Picloram (Woody, Grazon etc) at a rate of 400mls + penetrant (Consume, Pulse etc) + dye per 100 litres of spray mix is used if plants are looking stressed and dormant. 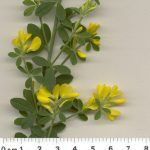 Distribution notes: Another garden escapee, not as common in the upper Wimmera as the other broom species, mainly found in the Landsborough, Crowlands and Elmhurst areas along roadsides and neglected land. 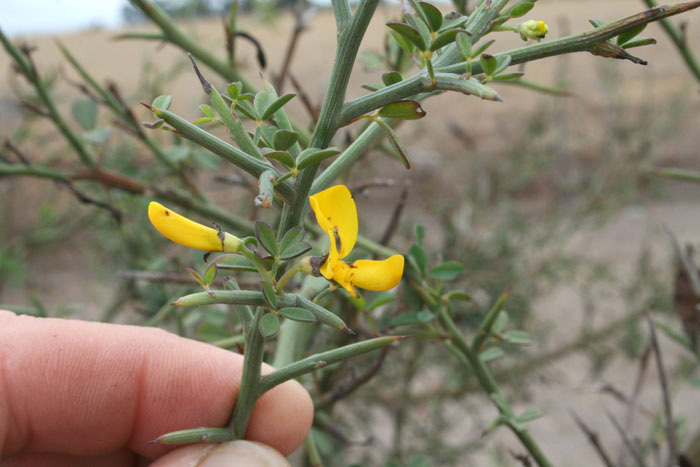 A different species to Flax Leaf and Cape Broom sharing the same common name and flower appearance. 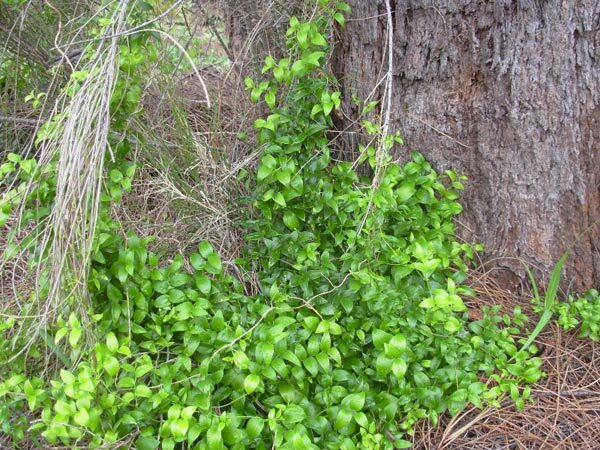 Control options: Hand removal is best for isolated small plants that can be simply pulled out by hand, larger plants may require machinery to remove or can be cut off and the stump painted with neat Glyphosate herbicide. For thicker infestations, Project platypus generally use Metsulfuron Methyl 600g/kg at a rate of 15g + penetrant (Consume, Pulse etc) + dye per 100 litres of spray mix. 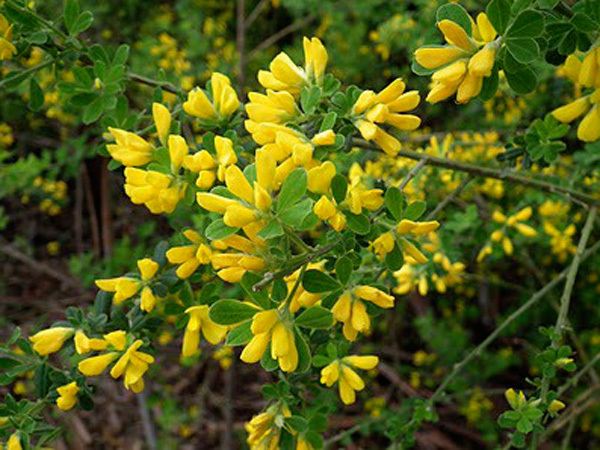 Spray when actively growing between August and pod set in November / December for best results. 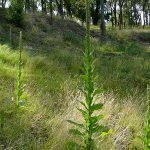 Distribution notes: A widespread agricultural and environmental weed found right across the upper Wimmera originally planted as a food and medicinal plant. 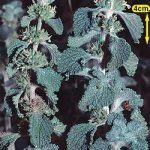 Sticky seeds make it possible for Horehound to be spread by stock and animals as they transport seeds stuck in their coats. 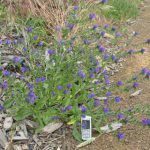 Control options: Isolated plants can simply be chipped out with a shovel and burnt or disposed of (bag the plants for disposal to stop the spread of seed). For thicker infestations, Project platypus generally use Metsulfuron Methyl 600g/kg at a rate of 15g + penetrant (Consume, Pulse etc) + dye per 100 litres of spray mix. 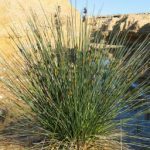 Distribution notes: Found along drainage lines and low lying areas across the upper Wimmera catchment, Spiny Rush favours areas where its tolerance to salt allows it to out compete other plants and dominate. 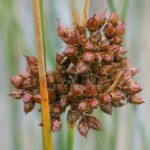 Choking waterways and providing harbour for foxes and rabbits, spiny rush needs to be controlled early before it forms dense infestations. 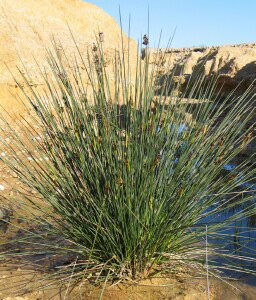 Easily confused with native rushes so be sure Spiny Rush is identified properly. 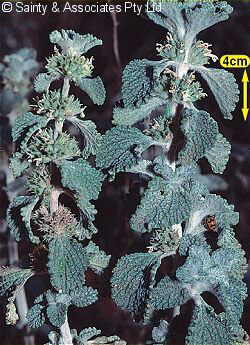 Control options: Isolated plants can be removed by hand digging or with machinery for larger mature plants. Mechanical removal of large and dense infestation can be equitable to chemical control with a grader being the most cost effective. 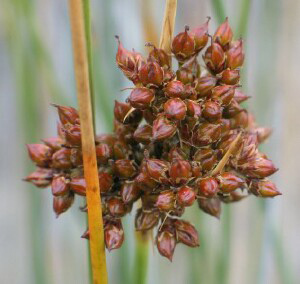 Spiny Rush is tough to kill with herbicide but a mixture of Metsulfuron Methyl 600g/kg at a rate of 10g + Glyphosate 450g/kg at a rate of 1.2 litres + 100mls of penetrant (Consume, Pulse etc) + dye per 100 litres of spray mix has proven effective. 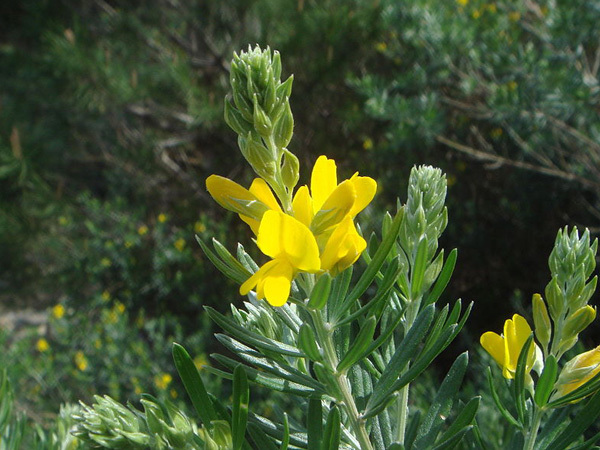 Burning can be used as a control tool to permit access for spraying or mechanical removal and will not kill plants outright. 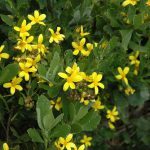 Distribution notes: Originally planted as a garden ornamental and medicinal plant, St John’s wort can become a real problem if not controlled due to its hardiness and the seeds ability to stick to animal’s fur. 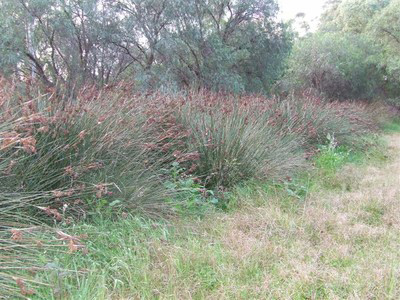 Large infestations exist in the Navarre and Landsborough area and the Panrock reservoir area in the Black Range near Stawell. 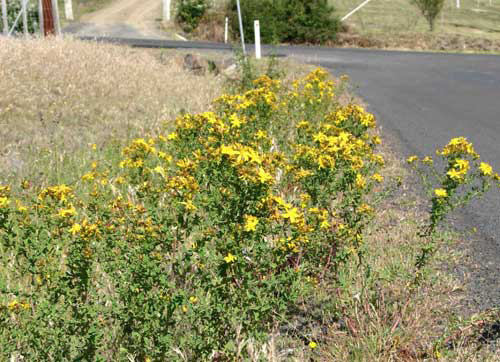 Scattered infestations exist across the upper catchment mainly on road reserves and neglected land. 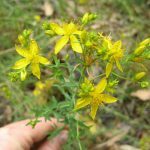 Control options: Isolated plants can be pulled by hand and burnt / bagged for disposal if seed is already present on the plant. 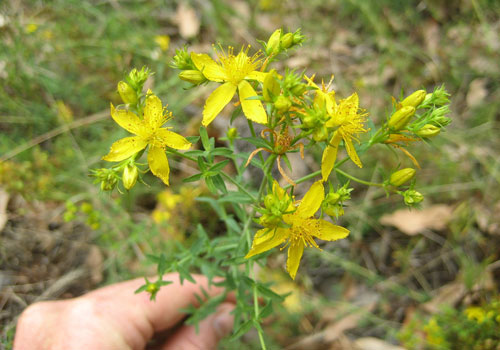 St John’s wort can reshoot from root parts left in the ground so be careful to remove all of the plant. 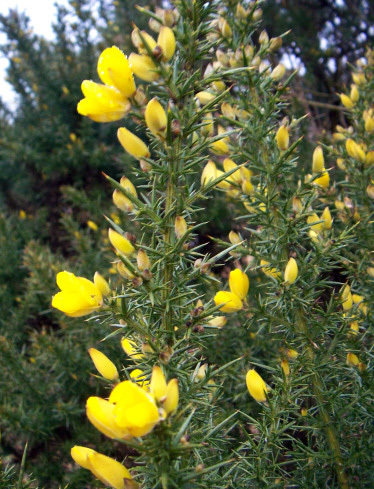 Plants are easy to spot during December – January due to the bright yellow flowers. Project Platypus uses Fluroxypyr 200g/lt at a rate of 600mls + 100mls of penetrant (Consume, Pulse etc) + dye per 100 litres of spray mix has proven effective. 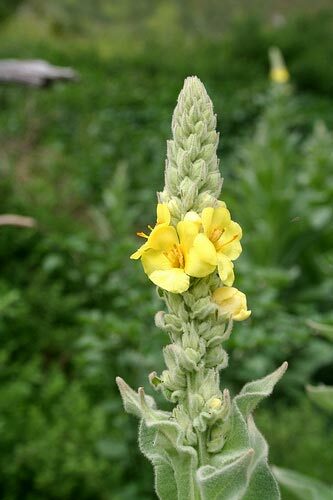 Plants can only be sprayed from October through to seed set in late December while they are actively growing. 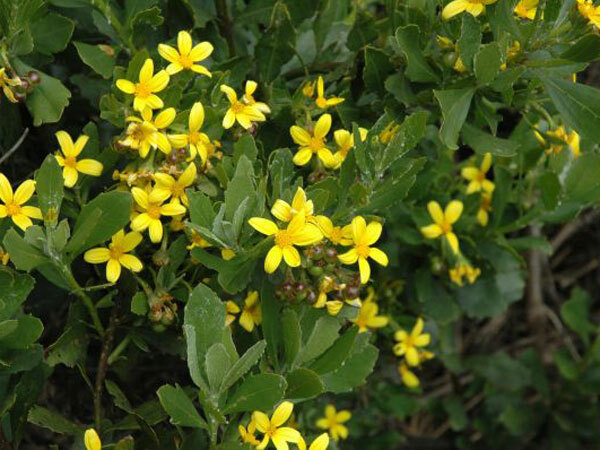 Triclopyr & Picloram (Woody, Grazon etc) are also effective at the highest recommended rate for St John’s wort. 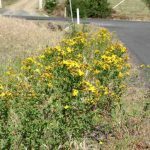 Distribution notes: A very widespread and common weed across the upper catchment on roadsides and neglected land, Sweet Briar can be difficult to control if timing and chemical selection are not right. 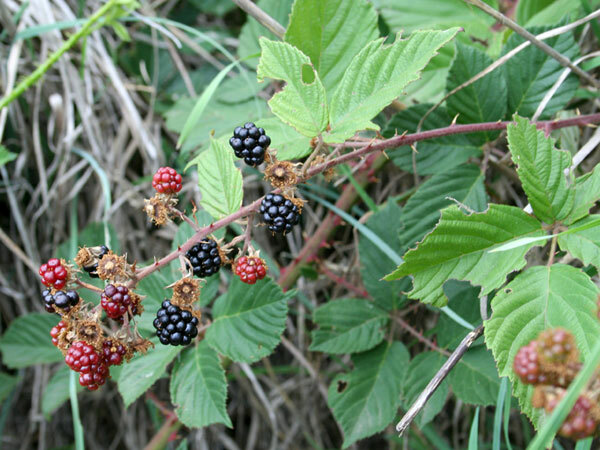 Control options: Hand removal is best for isolated small plants that can be simply pulled out by hand (with thick gloves to protect hands from sharp thorns), larger plants may require machinery to remove or can be cut off and the stump painted with neat Glyphosate herbicide. For thicker infestations, Project Platypus generally use Metsulfuron Methyl 600g/kg at a rate of 15g + penetrant (Consume, Pulse etc) + dye per 100 litres of spray mix. Spray when actively growing between August and January for best results. Alternatively, Triclopyr & Picloram (Woody, Grazon etc) at a rate of 400mls + penetrant (Consume, Pulse etc) + dye per 100 litres of spray mix is used if plants are looking stressed. Spraying will be ineffective during winter when dormant or when plants start to drop leaves due to dry / hot conditions. 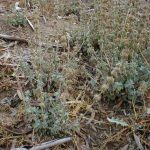 Distribution notes: An agricultural weed that has become wider spread in the upper Wimmera since the drought years last decade when a lot of fodder was brought into the area from New South Wales. 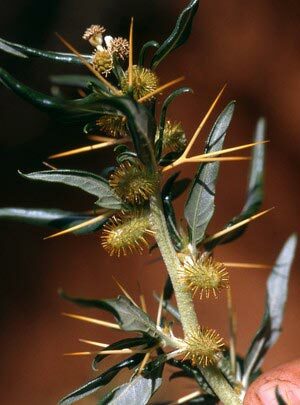 The spikey burrs hang in sheep’s fleece and animal fur spreading the seeds. 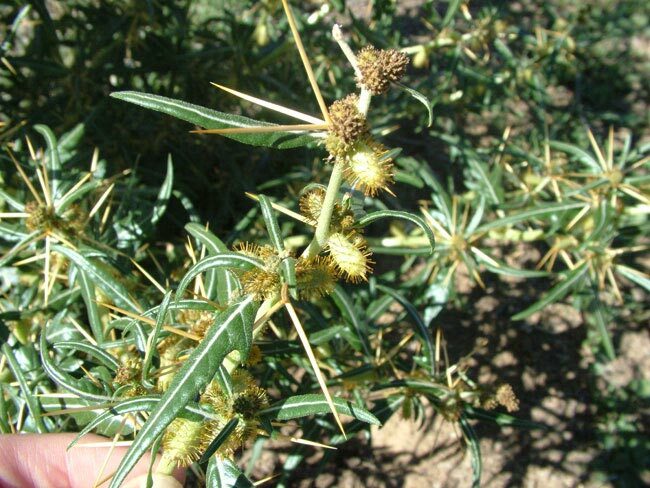 Infestations of Bathurst Burr can be found in the Joel Joel – Crowlands, Moyston and Elmhurst areas mainly on farmland with scattered plants found right along the Wimmera River / Heifer Station creek from Barkly to Glenorchy as the result of flooding in 2011. 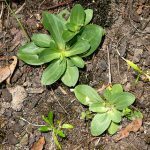 Control options: Individual plants can be chipped out with a shovel and burnt or disposed of (bag the plants for disposal to stop the spread of seed if present). For thicker infestations, Project Platypus generally use Metsulfuron Methyl 600g/kg at a rate of 15g + penetrant (Consume, Pulse etc) + dye per 100 litres of spray mix. 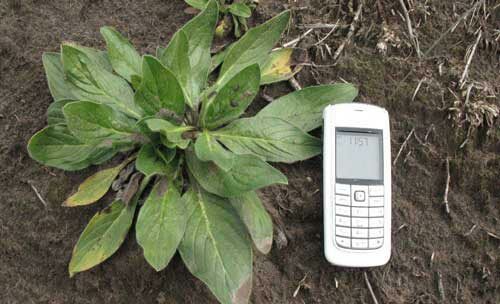 Glyphosate 450g/kg at a rate of 800 mls per 100 litres of spray mix is also effective. 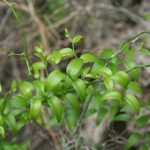 Distribution notes: Found right across the upper Wimmera, Bridal Creeper was once planted in gardens for it attractive foliage. 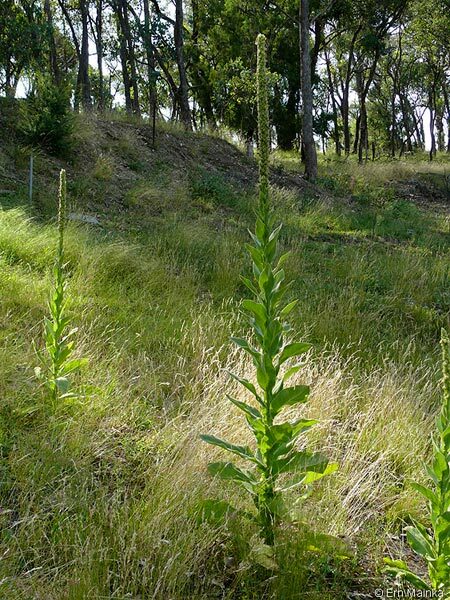 A real problem environmental weed able to invade areas of native vegetation without the need of soil disturbance (fire or machinery baring the soil) for it to become established. 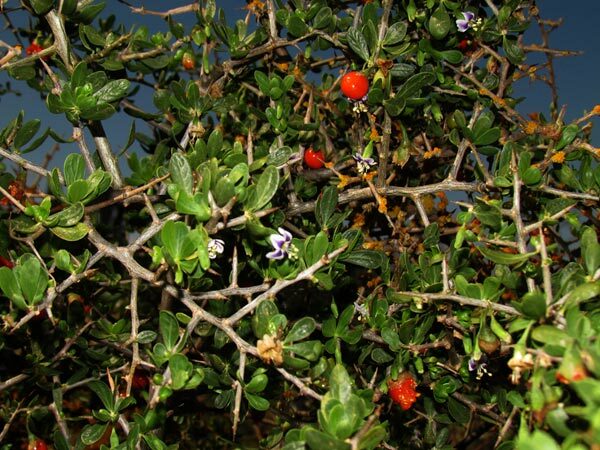 Birds carry the seeds after eating the fruit and excrete them out in their droppings, plants are usually found under trees or a fence line where birds have perched. 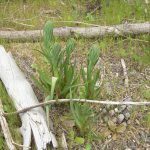 Underground rhizomes (bulbs) make it difficult to kill with herbicide often requiring a number of years of sequential control. 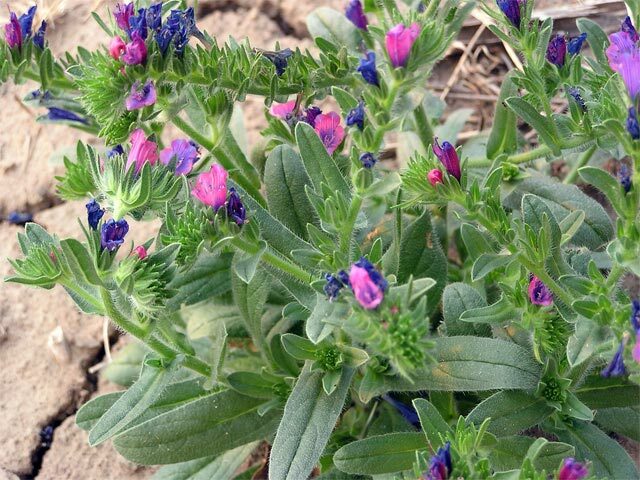 Control options: Isolated plants can be dug up and the rhizomes left on the soil surface to dry out in warmer weather. 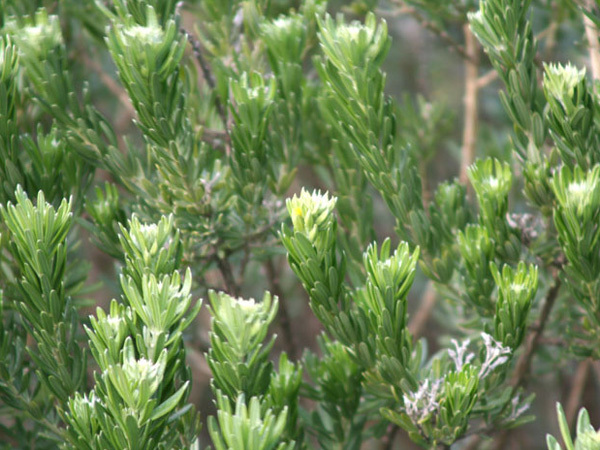 The foliage dies off in early summer, reshooting in May – June with the autumn rain. 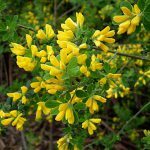 Plants can therefore be difficult to locate once the foliage has died off. Metsulfuron Methyl 600g/kg at a rate of 15g + penetrant (Consume, Pulse etc) + dye per 100 litres of spray mix has proven to be very effective over many years of control work by Project Platypus. Glyphosate can also be used but does not seem to be as effective at killing the rhizomes under the ground. 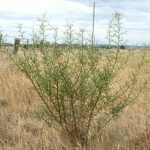 Repeat spraying may be necessary in subsequent years as some rhizomes lay dormant each year and produce foliage a year or two later. 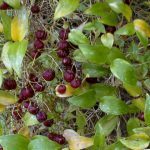 Distribution notes: Mainly found in the Pomonal, Dadswells Bridge, Concongella and Black Range area, infestations are often found or originate from old house sites as it was once planted as an ornamental garden plant. 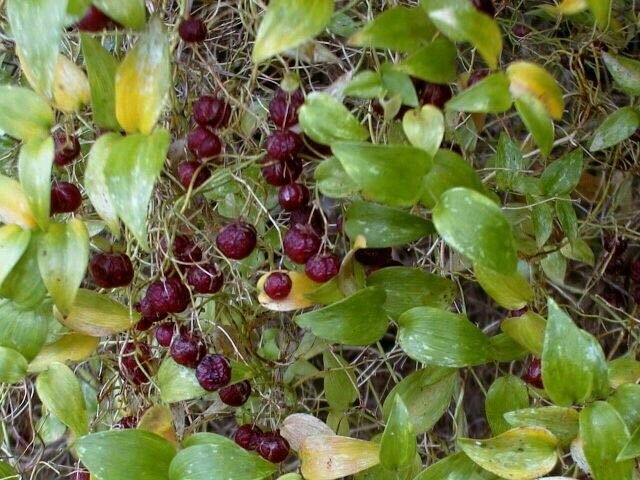 Underground bulbs and prolific seed production make it difficult to kill and eradicate infestations once established. 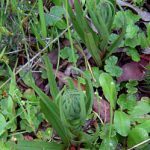 Control options: Isolated plants can be dug out by hand but be sure to get all of the bulbs as there may be more than one for each plant. 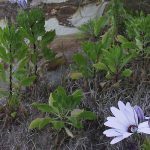 Spraying is possible from August up until flowers start to die off in October when plants are actively growing. Metsulfuron Methyl 600g/kg at a rate of 15g + penetrant (Consume, Pulse etc.) + dye per 100 litres of spray mix has proven to be very effective. Glyphosate 450g/kg at a rate of 1 litre per 100 litres of spray mix is also effective but will kill surrounding grasses and other plants. 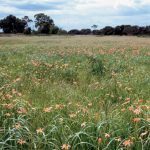 Distribution notes: Fairly wide spread across the upper Wimmera with heavy infestations in the Glenpatrick, Elmhurst, Landsborough, Navarre, Moyston and Greens Creek areas. 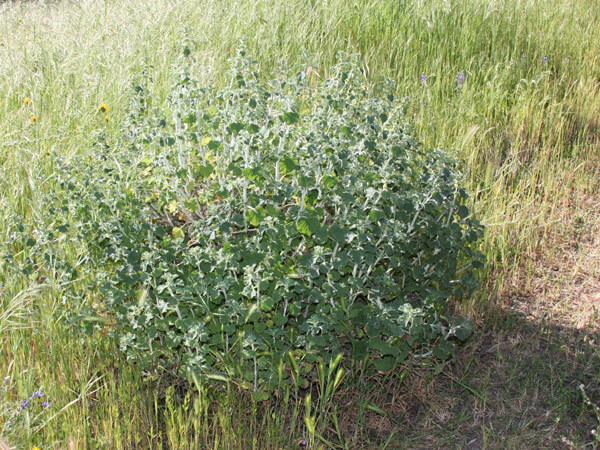 Sticky seeds make it easy for stock and animals to spread seeds by sticking to wool and animal fur. 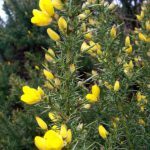 Control options: Isolated plants can simply be chipped out with a shovel and burnt or disposed of (bag the plants for disposal to stop the spread of seed if present). For thicker infestations, Project platypus generally use Metsulfuron Methyl 600g/kg at a rate of 15g + penetrant (Consume, Pulse etc) + dye per 100 litres of spray mix. Glyphosate 450g/kg at a rate of 800 mls per 100 litre s of spray mix is also effective but will kill surrounding grasses and other plants. 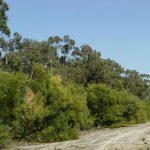 Distribution notes: Scattered and localised infestations can be found mainly in the western half of the upper Wimmera along roadsides and neglected land. 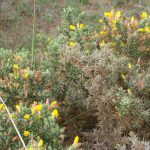 A very hardy and log lived woody weed with bright orange coloured fruit that are consumed and spread by birds and foxes in their droppings. 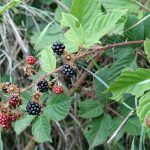 Control options: Hand removal is best for isolated small plants that can be dug out by hand (with thick gloves to protect hands from sharp thorns), larger plants may require machinery to remove or can be cut off and the stump painted with neat Glyphosate herbicide. 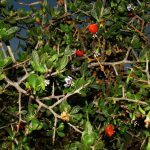 African Box Thorn has the ability to re-shoot from root fragments or branch pruning’s so be sure to remove as much of the plant as possible and be aware that branches can re-strike if soil moisture and conditions are favourable. For thicker infestations, Project Platypus generally use Metsulfuron Methyl 600g/kg at a rate of 15g + penetrant (Consume, Pulse etc) + dye per 100 litres of spray mix. Spray when actively growing between September and May for best results. Alternatively, Triclopyr & Picloram (Woody, Grazon etc) at a rate of 400mls + penetrant (Consume, Pulse etc) + dye per 100 litres of spray mix is used if plants are looking stressed. 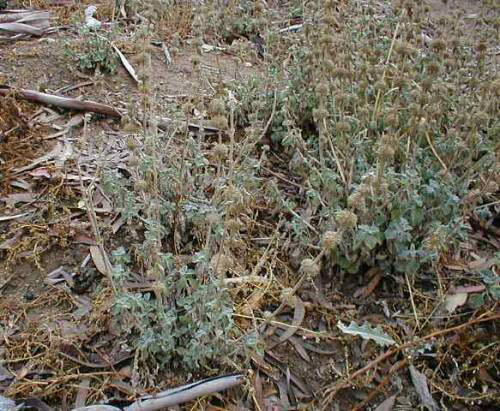 Spraying will be ineffective during winter when dormant or when plants start to drop leaves due to dry / hot conditions. 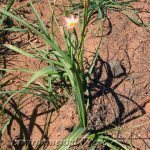 Distribution notes: A rosette forming flat weed producing a tall flower spike in the second year of growth mainly found in the Warrak, Elmhurst and Panrock area of the Black Range. Relatively easy to control when infestations are at a scattered density but will totally dominate an area if allowed. 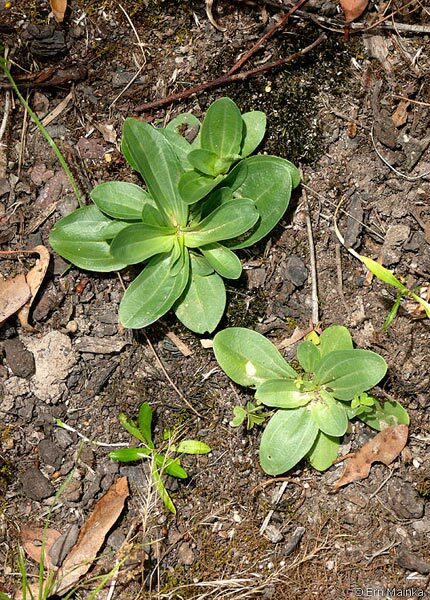 Control options: Isolated plants can simply be chipped out with a shovel. 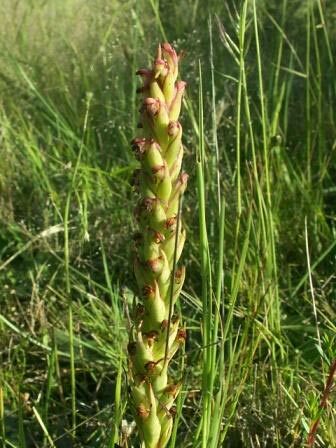 If at the stage of seed production in the second year of growth the flower spike needs to be burnt or disposed of (bag for disposal to stop the spread of seed if present). 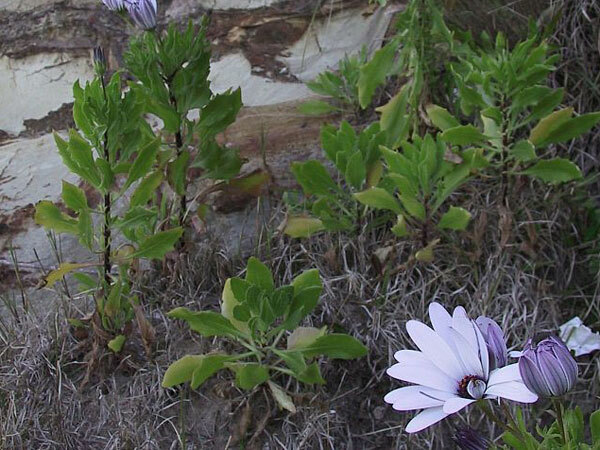 For thicker infestations, Project platypus generally use Metsulfuron Methyl 600g/kg at a rate of 15g + penetrant (Consume, Pulse etc) + dye per 100 litres of spray mix. Glyphosate 450g/kg at a rate of 800 mls per 100 litres of spray mix is also effective but will kill surrounding grasses and other plants. 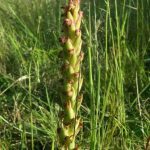 Distribution notes: Rapidly spreading through the upper Wimmera catchment, African Weed Orchid is becoming an ever increasing problem with each passing year. 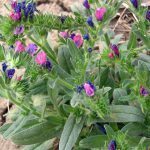 The plants are small and difficult to find during the spring when actively growing amongst other herbs and annual grasses. 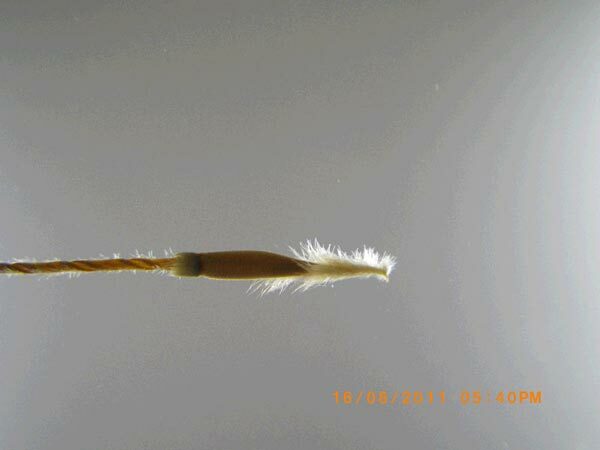 The seed stem which grows to about 250mm high makes the plant easier to see but at this stage there is a very short window for chemical control until the spores mature. The spores are very fine and dust like and can be spread by the wind / water movement, the transport of soil on vehicles / tools or by animal traffic. 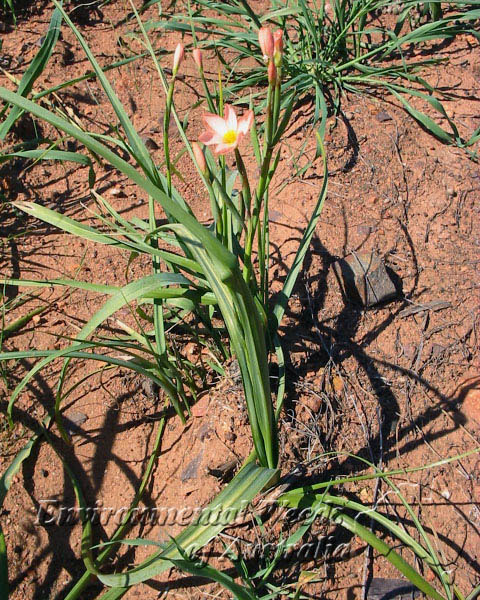 Under-ground corms (bulbs) remain in the soil to re-shoot the following year. 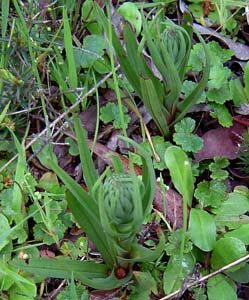 South African Weed Orchid is easily confused with native onion / leek orchids so be sure to identify plants for sure. Control options: Individual plants can be dug out by hand but be sure to get both bulbs (2 per plant, sometimes more). Plants and corms can be burnt or left in a sealed plastic bag in the sun to destroy the plants and seed stem. 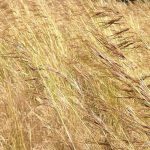 If plants have been allowed to mature to the point where the seed stem is drying off it is best to leave the plant alone as any disturbance at this stage will spread the spores into the air and onto clothing, gloves and tools. After completing control work or changing to another location, sterilise digging tools and clean off all soil from shoes and gloves to avoid spreading the spores. 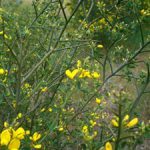 Spot spraying is possible from when plants emerge in early spring through to flowers start to mature in November – early December. 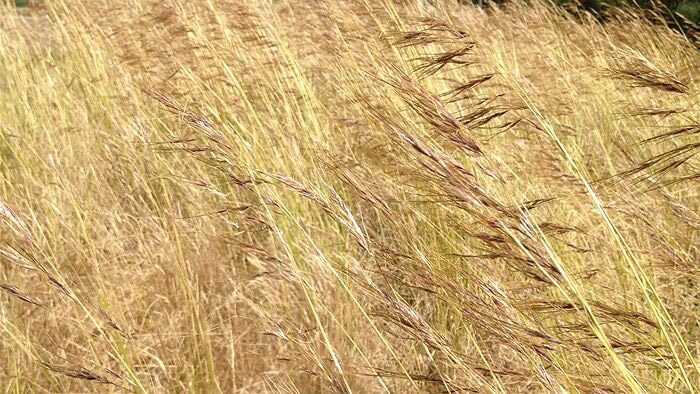 Glyphosate 450g/kg at a rate of 800mls per 100 litres (or 8mls per litre) of spray mix has proven to be effective but will kill surrounding grasses and other plants. There is evidence that if Glyphosate is applied before the spores mature it will drastically reduce the amount of mature spores produce with most being sterile and not able to grow. 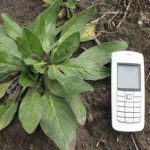 The addition of 80 grams (or .8 grams per litre) of Ammonia Sulphate adjuvant to the spray mix will drastically speed up the action of Glyphosate herbicide resulting in plants browning off in about a week. Ammonia Sulphate is purchased from agricultural supply stores in a granular form and is relatively cheap and a recommended addition to the spray mix. 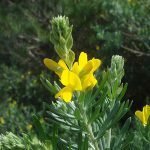 Metsulfuron Methyl has proven to be fairly ineffective possible due to the length of time it takes to completely kill a plant. 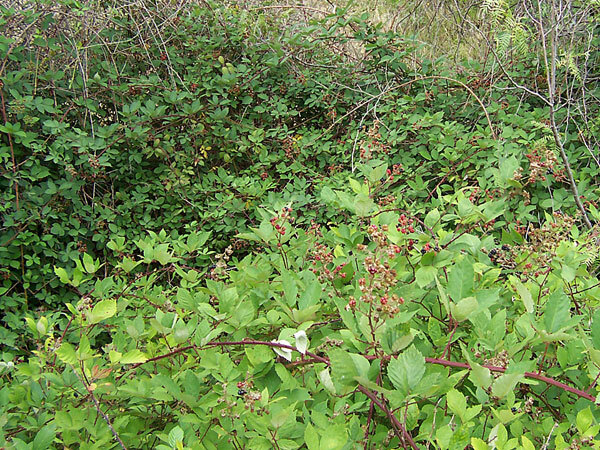 It is recommended that infestations be treated up to three times during the 3 months of active growth during the spring and early summer to initially pick up and treat plants in their rosette stage and again when flowering starts and finally before the seed stems mature in an attempt to pick up all plants as there is generally a staggered growth progression with plants shooting and going to seed at different times. 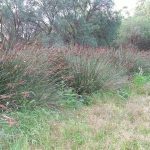 Distribution notes: A large infestation of Chilean Needle Grass (CNG) is known to exist in and around Moyston Township which has been actively controlled for the past decade. 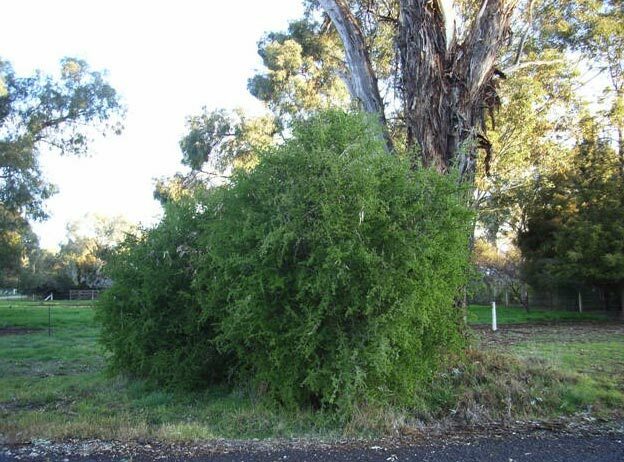 In 2013, a separate infestation was located in Great Western township with further as yet unknown infestations expected to exist in the upper Wimmera due to the prolific seed produced by CNG and the difficulty in differentiating between CNG and native spear grasses. CNG is easily spread be contaminated machinery (slashers and tractors), seed caught in sheep’s wool and animal fur and in contaminated hay. 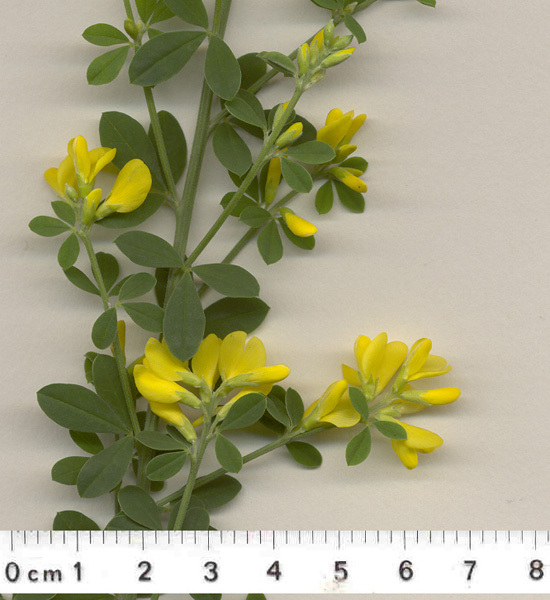 Plants are easiest to identify in late November / December when seed heads are present. 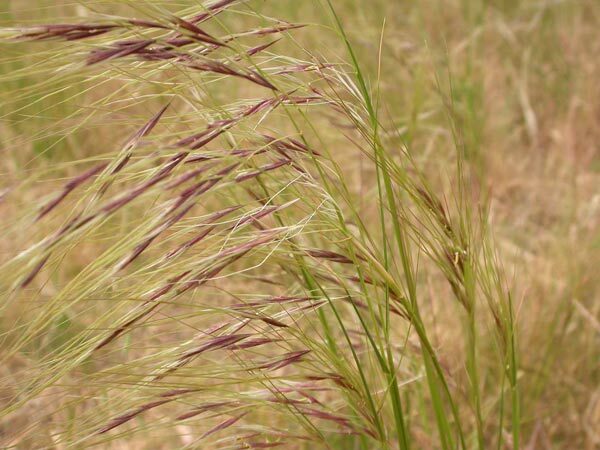 The seed heads have a characteristic pink – purple colour making them stand out from other grasses. 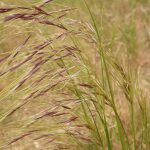 Some native Spear grasses (Stipa. spp.) 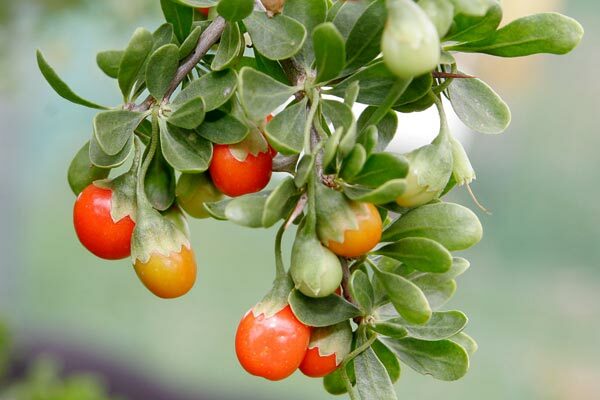 are a similar colour but their seeds are different when examined closely. 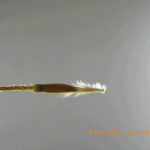 When mature, CNG seeds have a characteristic black ring or corona at the end of the seed where the tail or awn joins. 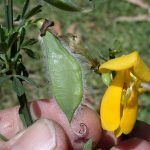 The seeds are very sharp and pose a serious animal health threat due to their ability to drill into hides (and the soil) when exposed to moisture. 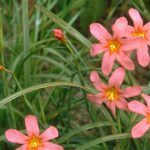 Control options: Individual plants can be dug out with a shovel and burnt or disposed of (bag the plants for disposal to stop the spread of seed). 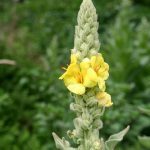 CNG has the ability to produce seeds that are contained in the base of the stems that are present all year round so always treat CNG plants like that have mature seed on them. 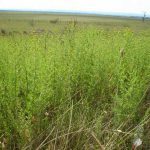 If plants have been allowed to grow to maturity and have been on a site for a number of years there will be a large bank of seed in the soil around the plant requiring follow-up assessment of new germination and treatment for around five years to exhaust the seed bank. Glyphosate 450g/kg at a rate of 1 litre + penetrant (Consume, Pulse etc.) + dye per 100 litres of spray mix is effective but is non-selective and will kill surrounding grasses and plants. Project Platypus have used Flupropanate 745g/L at a rate of 300mls of spray mix for spot spraying with excellent results and for boom spraying apply 3 litres/ha of Flupropanate. 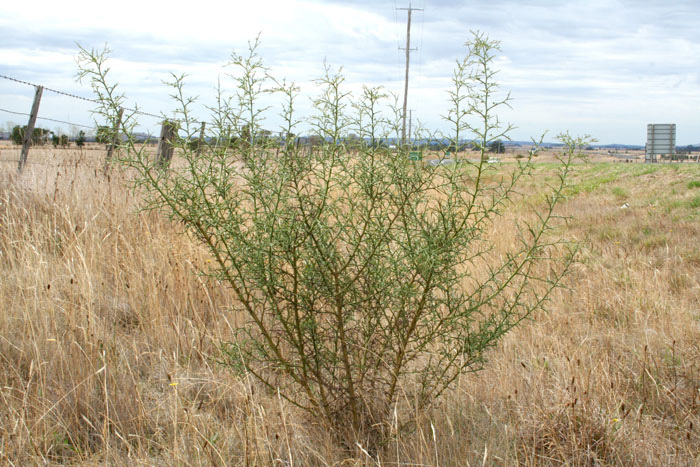 Flupropanate is taken up by the plants roots so requires good soil moisture and atleast 4 months to kill plants outright so spraying needs to be completed by the end of June usually to kill plants and prevent seed set in late spring in our area. Flupropanate has residual action in the soil for up to 5 years which will kill CNG on germination of soil stored seed. 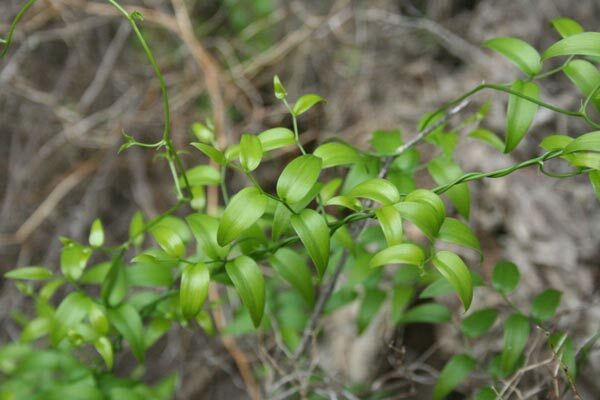 At the correct rate, Flupropante is semi selective in controlling CNG but not killing Phallaris and Kangaroo Grass which can be very useful competitors for CNG and important for the long term eradication of the infestation. 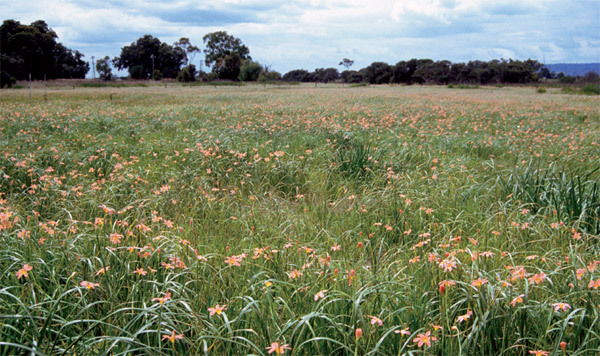 It will however kill Wallaby grass and other winter active grasses so keep this in mind when planning control options. 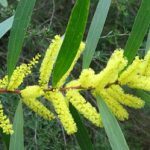 Distribution notes: Infestations of Sallow Wattle are mainly found in the western side of the upper Wimmera catchment particularly in the areas of Ledcourt and Dadswells Bridge bordering the extensive infestations in the north of the Grampians National Park. 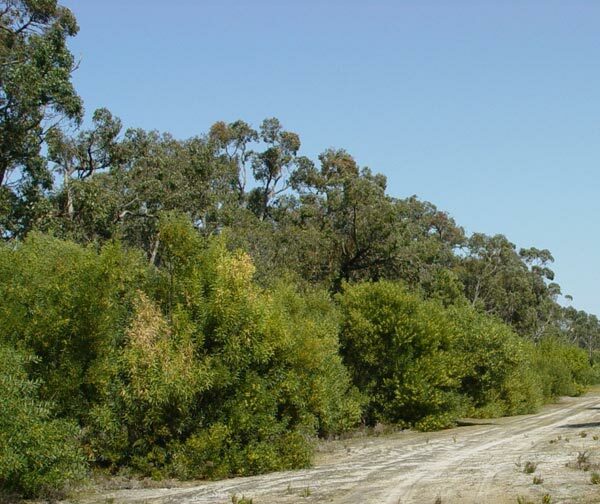 Scattered localised infestations can be found along roadsides and areas of native bushland between the Grampians and Stawell and in the area of the Grange golf course along Pleasant Creek just east of Stawell. 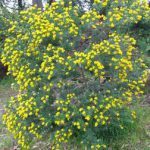 The local Sallow Wattle is a hybrid between Sydney Golden Wattle (Acacia longifolia) and Coastal Wattle (Acacia sophorae) which is highly invasive and vigorous able to out compete local acacia species particularly after fire where it forms dense thickets. 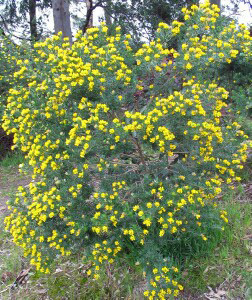 In the past Sallow Wattle has been used in revegetation plantings with many of the current infestations outside of the Grampians originating from plantings in revegetation corridors. 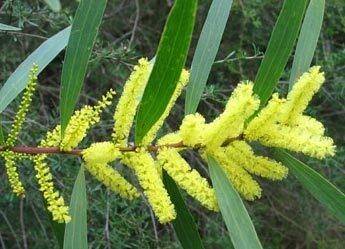 Like other acacias, Sallow Wattle seed is stimulated to germinate after fire or soil disturbance. 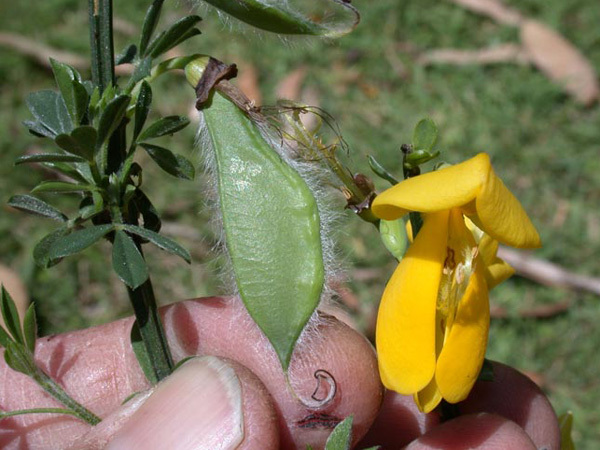 Control options: Individual juvenile plants can be pulled out by hand. 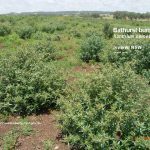 Larger plants to the size of small saplings can also be pulled by hand or with the aid of a tractor. 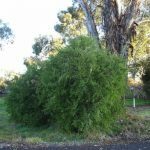 Larger mature bushes and trees need to be cut off as close to ground level as possible with all leaf material totally removed from the stump. Experience has shown that this is usually enough to kill the tree which does not have the ability to re-shoot from the stump once all leaf / growing points have been removed. 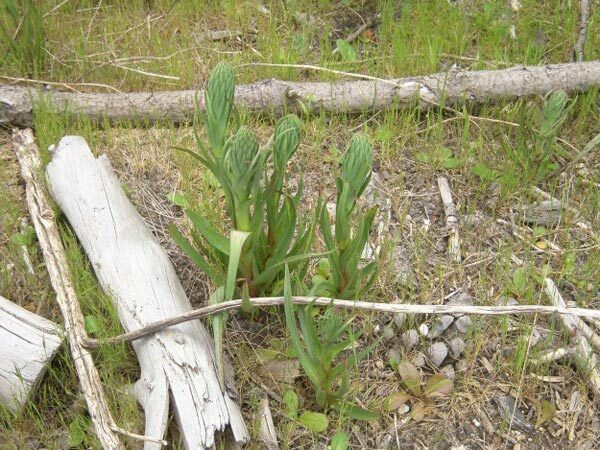 If an area has been burnt, a mass seed germination will occur which can be a good opportunity to deplete the seed stored in the soil by hand pulling all seedlings before they get to about 18 months in age and the first opportunity to flower and set seed.